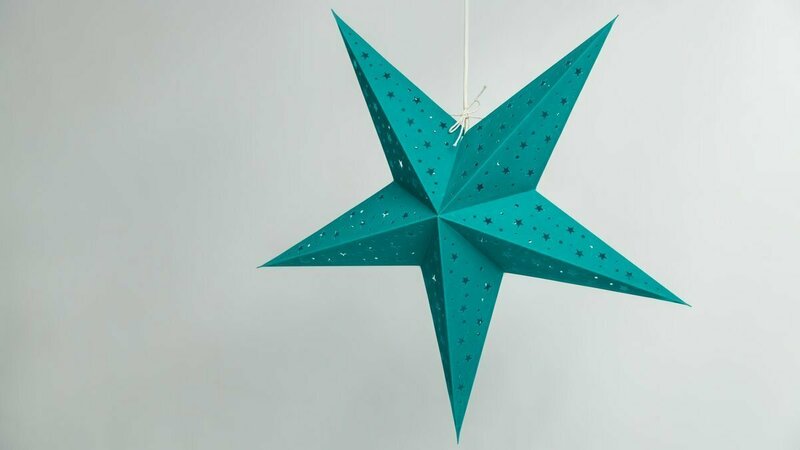 A 5-pointed pendant ceiling lampshade in a cool teal, this hand-made starlight creates an atmospheric aquamarine glow, ideal for bedrooms and chillout spaces. A deep moody ambience contrasts with captivating lighting effects - watch as light twinkles through each one of 160 tiny star shaped perforations to cast a hypnotic display of starry shapes on the ceiling, walls, or window glass. 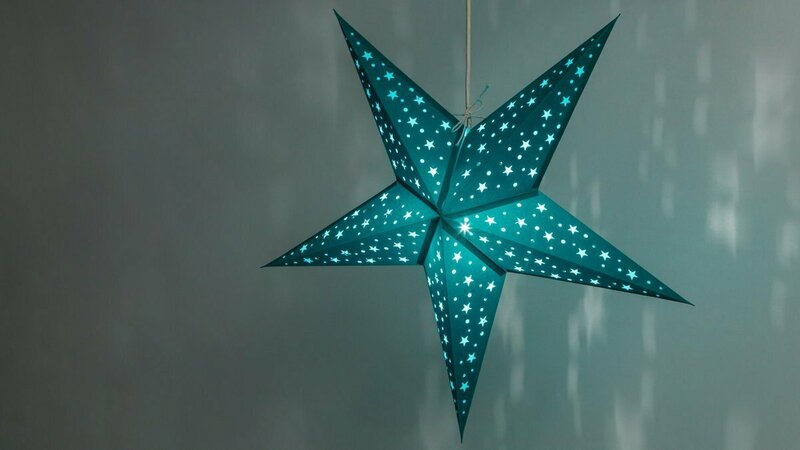 This starlight is perfect for relaxing and chilling, and its soothing glow makes it the perfect nightlight or lampshade for a child’s bedroom. Children and adults alike will love the mesmerising lighting effects!